If you are looking to soak in the royal heritage, culture of India . 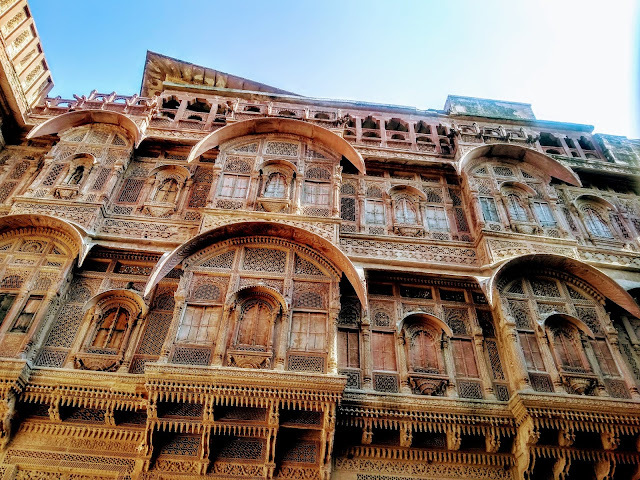 One needs to head to Jodhpur City, Rajasthan, India. The Royals of Rajasthan have a tradition of Atithi devo bhava, meaning guest is God. And this tradition of welcoming, treating each guest with kindest hospitality can be experienced only in Rajasthan. 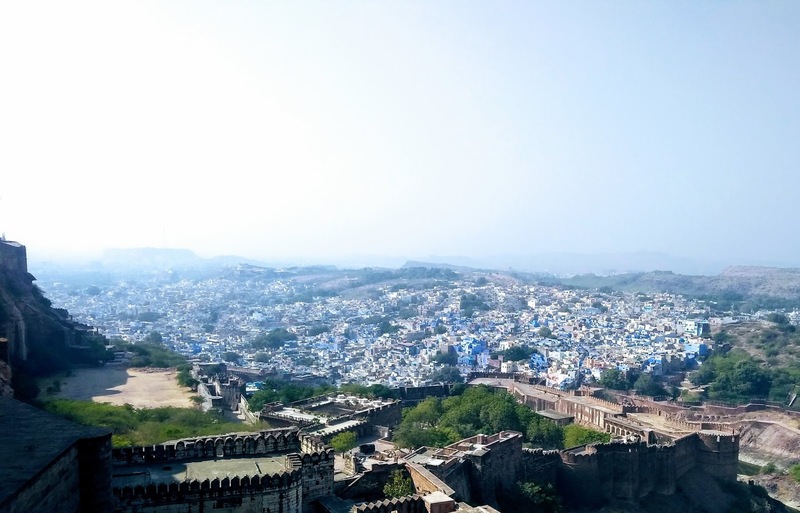 The Blue city has a lot to offer from sightseeing of Royal Umaid Bhavan Palace, to the biggest Mehrangarh Fort in Rajasthan. To the gastronomical adventures of Laal maas ( red mutton curry) to the yummiest sweets. One can experience it all in this wonderful city. Upon entering the Fort one can hear Rajasthani folk music being played by local musician it is very soothing. The fort is currently maintained by current royal HH Maharaja Gaj Singh. One should definitely wear comfortable shoes. I did the mistake of being a fashionista, wearing leather boots which was a disaster to walk in the fort. Also one must wear lot of sunscreen as Rajasthan is very sunny. Carry the coolest shades you have. Also one must get a tour guide who will explain everything to you or one can purchase audio guide that's convenient if you are foreigner with French, German or other audio guide languages available. If you are too lazy to walk to highest point of the fort they have the facility of modern elevator which will take you to the highest point. One can just stand and stare at the blue city below. It's an amazing view. 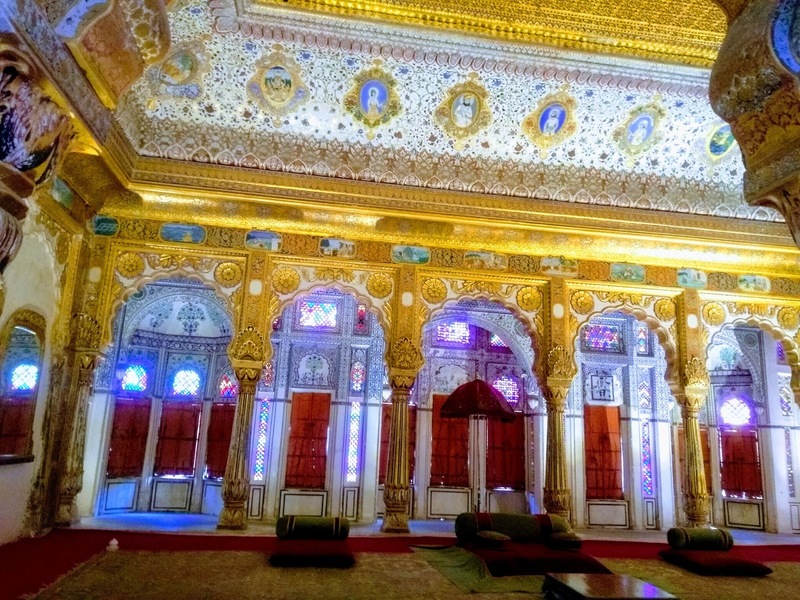 The current king of Jodhpur has made the Fort very tourist friendly. It is very clean, with professional staff who manage this place very well indeed. If you like to buy souvenirs one can visit the quirky shop called 'The Mehrangarh' located at the entrance of the fort. It's got most amazing collection of scarfs, ties, mugs, post cards, cloth tote bags, jewellery etc. I personally shopped from here very reasonably priced. The local craftsmen are given opportunity to showcase their goods like Jodhpuri mojaris - leather, hand embroidered flat shoes . They are fashionable and comfortable to wear. The Mehrangarh Cafe- this has most delicious food and drinks to offer. I had chicken tandoori salad along with mint lassi it was yummy. One can get continental, Indian food which is tasty. They offer desserts as well. If you are an artist one must visit the Daulat khana museum in the fort which has preserved the Mughal arts. The royalty had closed ties with Mughals.